Democratic senator Elizabeth Warren has long had a contentious relationship with scandal-plagued lending giant Wells Fargo. That relationship apparently isn’t thawing as the Massachusetts lawmaker explores a presidential run. On Monday, Warren launched a tweetstorm calling on Wells Fargo CEO Tim Sloan to resign – a call she’s made before. The tweets were prompted by an interview Sloan did with Jim Cramer on CNBC, according to a MarketWatch report. Warren said that Sloan bore some responsibility for the fake-accounts scandal that kicked off the bank’s two-year-plus parade of bad press. 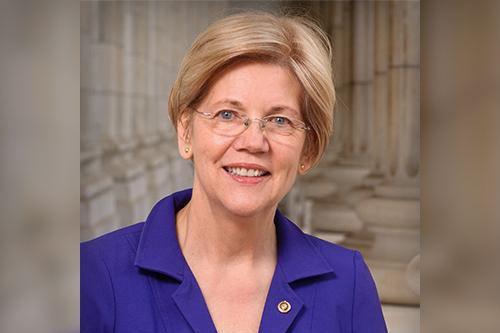 Warren also brought up a separate scandal in which it was revealed that Wells Fargo charged more than 800,000 people for car insurance they didn’t need, and another in which the bank wrongly foreclosed on more than 500 customers’ homes. She also mentioned an agreement in which Wells Fargo paid $175 million to settle claims that it charged minority borrowers higher fees. But business hasn’t been particularly good for the lending giant recently. Over the last year, Wells Fargo shares have fallen about 25%, according to MarketWatch. And the bank is still operating under an asset cap placed on it by the Federal Reserve – a cap that was supposed to be lifted last year but which Sloan recently said would likely remain in place through the end of 2019.